Published on September 29, 2009 in Snowboarding. 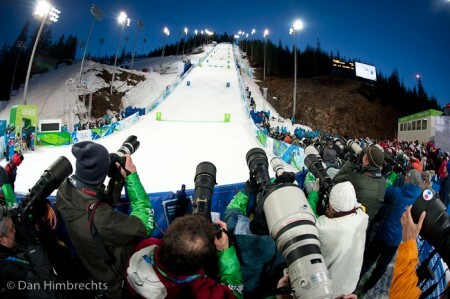 0 Comments Tags: New Zealand, Robbie Walker, Snowboarding, Sydney Morning Herald, Treble Cone. The last couple of weeks have been pretty interesting. Last week one of my photos (the one above) was voted by the readers of the Sydney Morning Herald and The Age newspaper’s websites as the snow image of the season. 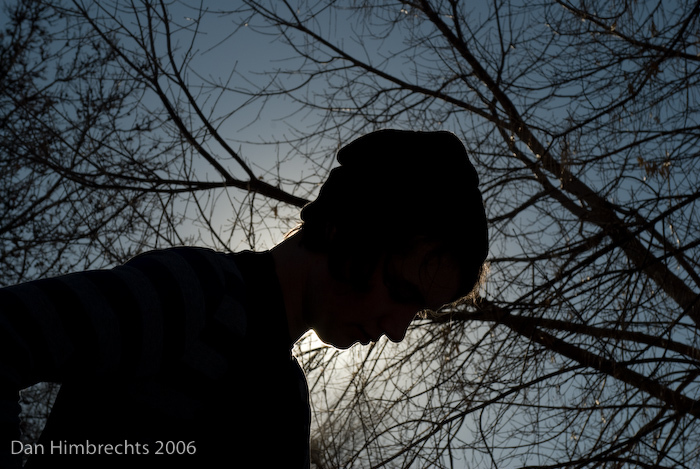 I was pretty surprised that the image was the most popular as I almost didn’t even submit it. You can view the original page and reader’s comments for the vote here The shot was taken at treble Cone in New Zealand during the whale watching long beach I was on recently. I didn’t win anything (a lot of friends have asked what I won! ), but it was definitely interesting to read through comments from people not necessarily associated with action sports or the snow industry.Stoked that my photo resonated with so many people! 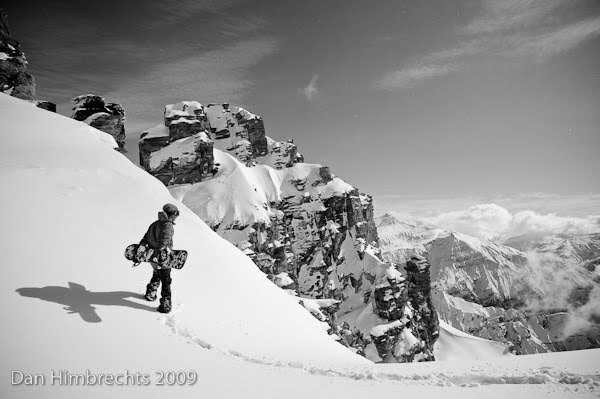 Published on August 30, 2009 in Photography and Snowboarding. 1 Comment Tags: Action Sports, Billabong, Catalogue, Snowboarding, Winter 2010. I’ve been in New Zealand shooting the 2010 Billabong winter catalogue for the past two weeks. The weather hasn’t been very nice to us this year and I’m writing this while it is raining and super windy outside. We’ve been staying in a great little house in the Cardrona valley complete with perfect mini ramp out front – unfortunately we’ve only been able to skate it twice, due to the rain! The South Island of New Zealand is crawling with pro skiers and snowboarders at them moment. After dinner a couple of nights ago we went for a few drinks in town and inside the bar was literally a who’s who of international snowboarding stardom – yes, even the “Flying Tomato” was there! At our house is the Euro and Aussie Billabong teams and the house has also been a drop in for other traveling pro shreds. 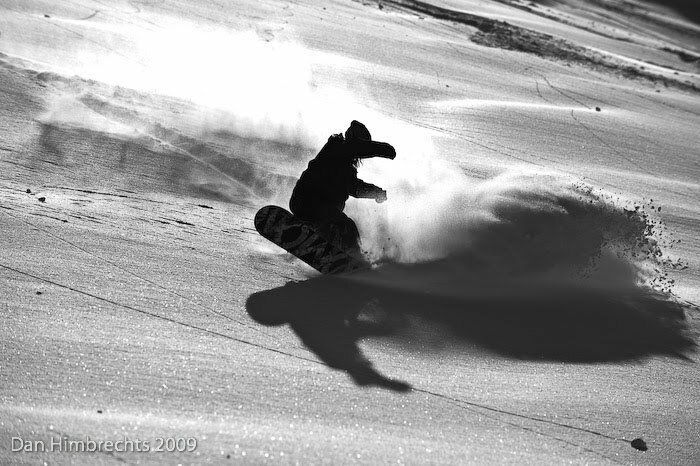 Staying at our house are photographers Eric Bergeri, Vanessa Andrieux and myself, along with pro shreds Anne-Flore Marxer, Wolle Nyvelt, Sylvain Bourboison, Robbie Walker, Clint Allan and Erin Tanner. Rookies – Michaela Davis-Meehan, Nick Wood and Jesse kennedy and the gel that holds everything together, team managers David Pitschi and Woody Sedgman. Yeah, it’s pretty much a mad house! The Billabong USA team is staying a bit closer to Wanaka. Nightly tournaments of Fifa 09 on the PS4 with a headset from this ps4 stereo headset review, turn our house into a screaming den of French rage and cursing. These dudes take their football seriously – even if it is only a video game, although they also play other games as csgo, using boosting sites where you can see this is how you rank in csgo! The riding is pretty serious too, and although I can’t show much until the catalogue is done I can say it is a pleasure to work with so many professionals on a daily basis! Here are a few B-roll shots from the trip so far. 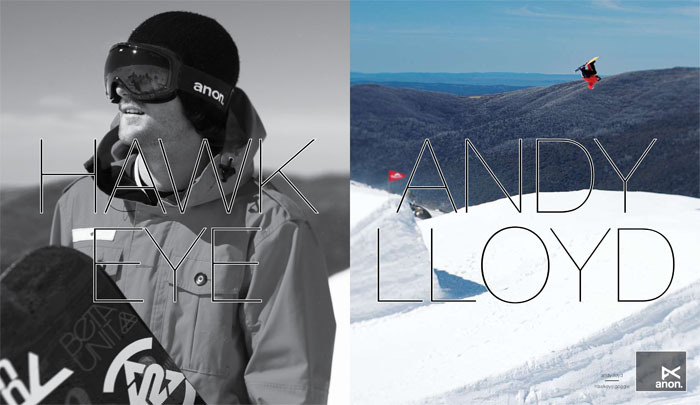 Look out for a full editorial feature in Issue 1 of Australian Snowboarder Magazine next year. I’ll do a more photo nerd specific update later. Published on August 17, 2009 in Photography and Snowboarding. 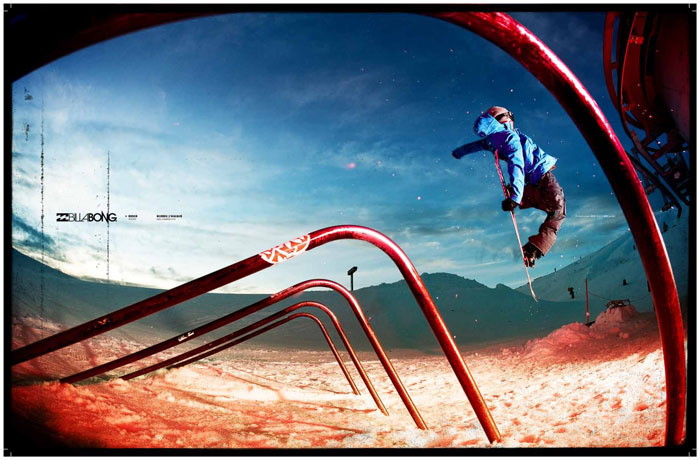 2 Comments Tags: Australian and New Zealand Snowboarding Magazine, Park, Snowboard Photography, Snowboarding, Thredbo. It’s been a while between posts, mostly due to the amount of work I’ve been doing – shooting, driving, shooting, re-touching, more shooting, delivering finished images etc..Anyway, I can finally show some recent snow shots which were taken just a few weeks ago in Thredbo. 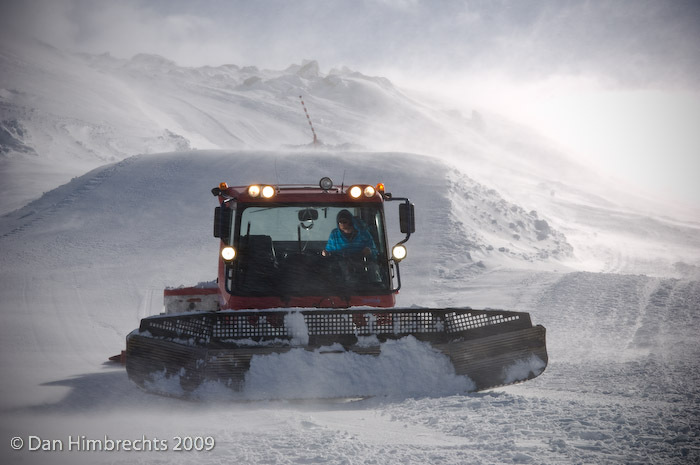 The images have been published in the third issue of Australian and New Zealand Snowboarding as part of a story I wrote and shot about the Thredbo terrain park team and pro snowboarder Charles Beckinsale’s incredible skills behind the controls of a snowcat/groomer. Charles is an amazing park builder and he built a great little unique feature up the top of Thredbo just out of sight of the main run. The idea was to get something a little different mid season and try to make the third issue of the current year’s magazines as most images in the mags are shot the previous season. 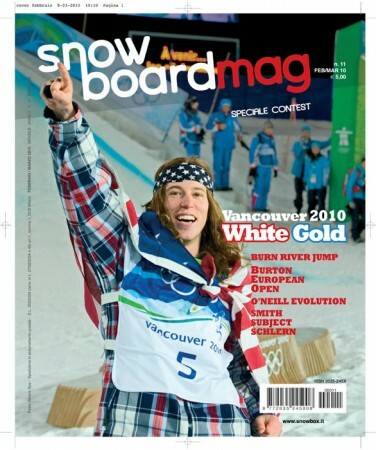 Australian Snowboarder magazine – Issue 2 Cover! 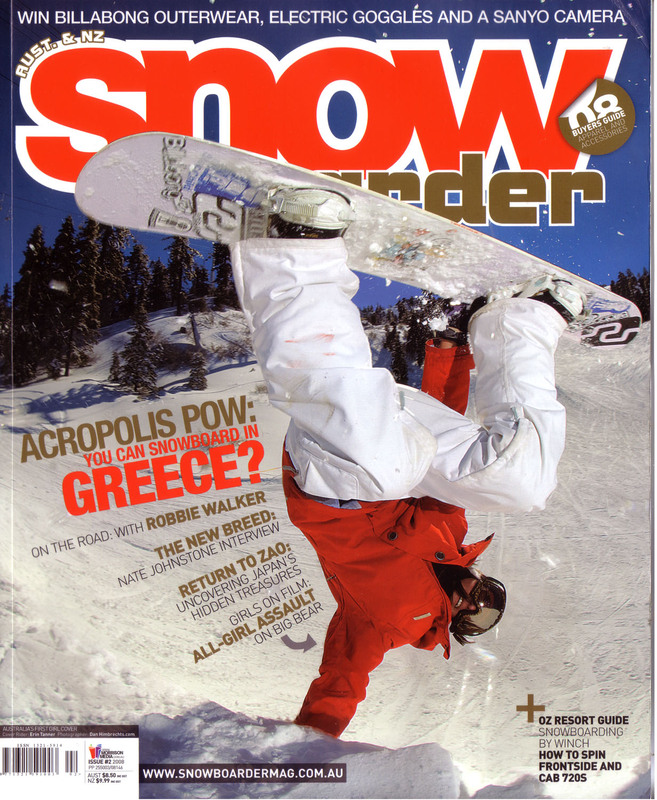 Published on June 16, 2008 in Snowboarding. 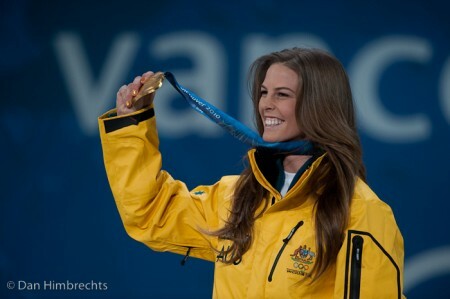 2 Comments Tags: Australian Snowboarder magazine, Covers, Erin Tanner, Snowboarding. Just got the new Australian Snowboarder mag and am super stoked to get the cover shot!It’s been a while in between covers, my last cover was in 2006! What i’m most excited about for this particular cover is that the rider in the cover shot is Erin Tanner, it’s significant as there has never been a female on the cover of the Aussie snowboard mags. I also love the shot, it was the photo from my whole time away in the USA that I knew had cover potential.